1. I spent all morning and part of the afternoon planting tomatoes. Finally. 2. Chicken Mama participated in "Solo and Ensemble Orchestra Festival" on the other side of town. It was a loooong wait. There were at least ten million little violinists at the event. 3. As I was contemplating which flowers to gather for the bouquet, Kristen and I watched Sammy, our big, fat, lazy, sweetheart of a cat, as he watched something under a bush. Sadly, we saw a feather and thought Sammy injured a bird. Kristen began riffling through the bushes, trying to find the bird--and instead found a very. large. SNAKE. 5. 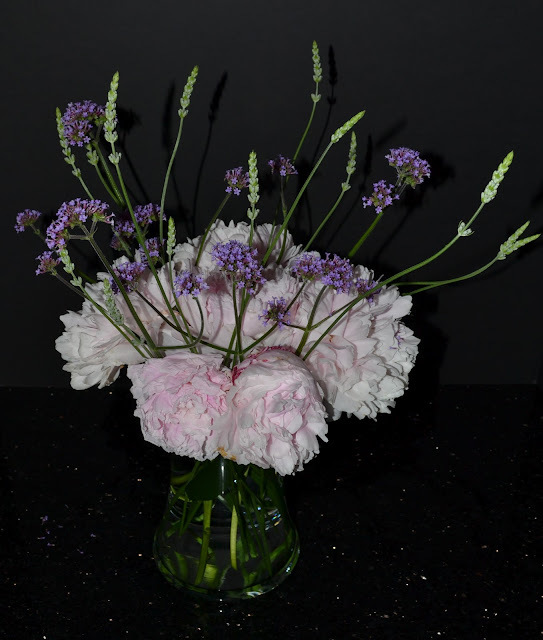 Prior to the snake encounter, I cut nameless pink peonies, tall verbena, and Provence lavender. So, that's what made it into Floral Friday's bouquet. I'd had enough wildlife for the day. 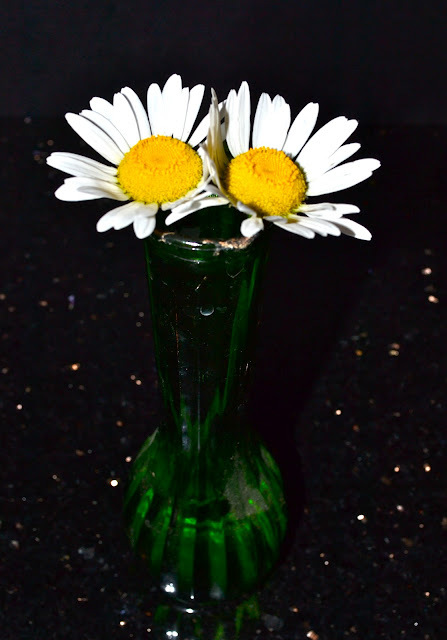 But honestly, I think these daises Kristen and Mikey picked for me are my favorites. P.S. Yes, I know spiders and snakes are our friends. I just don't like when they surprise me!